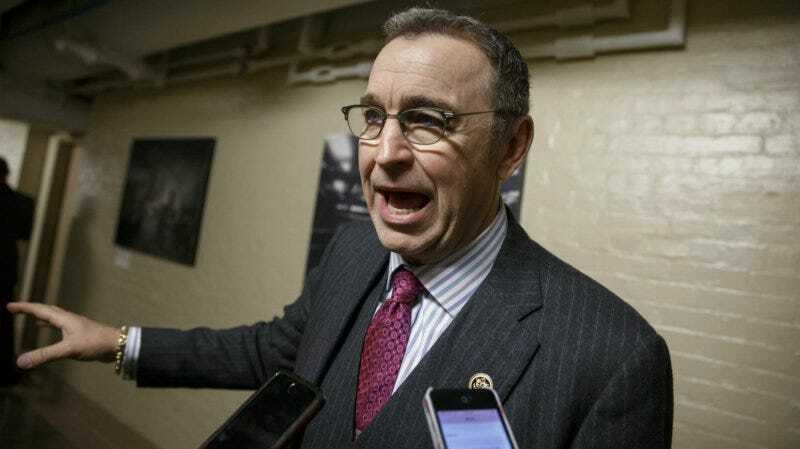 Arizona Congressman Matt Salmon is apologizing after getting a little too real with a class full of elementary school students, during what was supposed to be a light conversation about how a bill becomes a law. Instead, Salmon took the opportunity to tell the kids about nuclear weapons and ask them, “Do you know that there are schools that train children your age to be suicide bombers?” C’mon, Matt. Campbell said the lesson took a dark turn when it came time to talk about vetoes. “The congressman chose to give an example of the current situation in Iran, and made some inappropriate comments about ‘Do you know what a nuclear weapon is? Do you know that there are schools that train children your age to be suicide bombers?’” Campbell said. He and other parents were shocked. He said he had to console his young daughter. “After school my daughter was very concerned and said to me she actually didn’t even know what suicide was and was very afraid,” he explained. Yesterday Congressman Matt Salmon visited your kiddos’ classroom where they discussed the process they had learned about how a bill becomes a law. During this conversation, the Congressman shared a bill that will be going through the process with regards to nuclear warfare down to the terrorist trained and the age of the kiddos that are trained. This conversation lasted about three minutes to which I interjected that we had time for a few questions in hops to divert the conversation. At this point, the questions changed to a different topic; however, after a few questions the topic again turned to ISIS and terrorists; at that point, Ms. Kisler did a great job and interrupted the Q & A to thank the Congressman for coming to the classroom. Sippel encouraged parents who had concerns or “uneasy” kids to share those concerns with Salmon’s staff. The result was a meeting at the Congressman’s office with some of his staff; Salmon also called Scott Campbell himself to apologize for the next three to five years of nightmares. And yes, you are remembering correctly: this is the second time this year that a Republican politician has been in the news for terrifying children in an apocalyptic kind of way. Ted Cruz told a three-year-old that the “world is on fire” at a New Hampshire town hall earlier this year, without following up with an explanation of metaphors or political bluster. While it’s not necessarily appropriate to send kids off to bed with visions of child soldiers dancing in their heads, it’s really never too early to impress upon children that the world is a brutal, terrifying place, full of sleazy politicians who have absolutely no off switch.